Arrive in Budapest where your Avalon Suite Ship is ready for boarding. 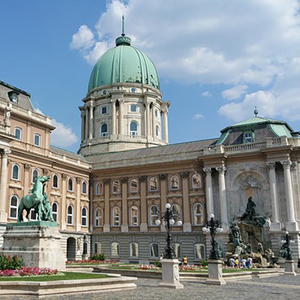 You’ll cruise the blue Danube to discover Hungary and Austria with a wide variety of included excursions to choose from. With Avalon Choice, each day is yours to spend your way. Select a Medieval Knights Tournament at a Visegrád castle, see Gustave Klimt’s renowned “Kiss” painting in Vienna, or join a canoe excursion for a different view of the Danube. Whether you prefer browsing the art collection of the Habsburg Empire or sipping local vintages at an Austrian wine-tasting, your Active & Discovery cruise is packed with Avalon Choice inclusions for every pace in every place we go. Sample cheese and beer made by Trappist monks and explore their Abbey gardens; take a hike to Count Dracula’s prison tower; or tour Mauthausen Concentration Camp, one of WWII’s most notorious sites-selecting from an unmatched variety of included excursions to choose from each day.